Audio begins on July 10, 2012 at 2:00 pm EDT. Please come back to hear the broadcast! "Prayer is the Christian's vital breath" (Christian Science Hymnal, No. 284), and when Christians sincerely gather in prayer, restoration and healing are possible. So what is it that would keep Christians from valuing each other? What sometimes builds a wall of separation? Bring your questions about intra-Christian dialogue to this chat, explore with us the universality of prayer and the specific contribution Christian Science can make toward healing within our Christian family, your community, and the world. 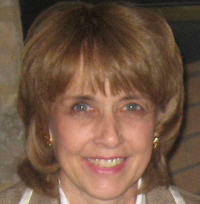 About Shirley Paulson: Shirley is a Christian Science practitioner from the Chicago area. As Head of Ecumenical Affairs for the Church of Christ, Scientist, she represents The Mother Church in dialogue with the National Council of Churches (USA) and other Christian and interfaith relationships. She is currently serving on the Faith & Order Commission of the National Council of Churches. The combination of her Christian Science healing practice with her master’s degree in theological studies from Garrett-Evangelical Theological Seminary provides rich experience in support of her ecumenical activities. She enjoys her service on the Christian Science Board of Lectureship, where she gives presentations to academic classrooms on a variety of subjects related to Christian Science. She has presented programs at the Parliament of the World’s Religions in 2009 and at CESNUR (a conference on minority religions) for the past three years. About Rev. Dr. Michael Kinnamon: Michael, formerly National Council of Churches General Secretary, is an internationally recognized scholar and leader in the church unity movement. He has served this movement in a number of ways, including as General Secretary of Churches Uniting in Christ, Executive Secretary of the World Council of Churches’ Commission on Faith and Order, and he had a major role in drafting the WCC’s major planning document, "Toward a Common Understanding and Vision of the WCC." Before serving at the National Council of Churches, Michael was the Allen and Dottie Miller Professor of Mission, Peace and Ecumenical Studies at Eden Theological Seminary, St. Louis, Missouri. 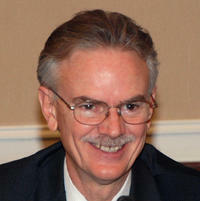 He has also been professor of Theology and Ecumenical Studies at Lexington, Kentucky, Theological Seminary. Kinnamon earned a PhD from the University of Chicago Divinity School in the field of religion and literature. He studied at Tel Aviv University from 1969 to 1970. His AB degree is from Brown University.